The National Medical Library hosts a large collection of medical journals via electronic subscriptions. The journals are accessible on and off campus and can be located with the help of the library’s search tool Summon or via the browsing tool for e-journals. NML's journal collection is also accessible through the library’s journal app” ‘BrowZine’. 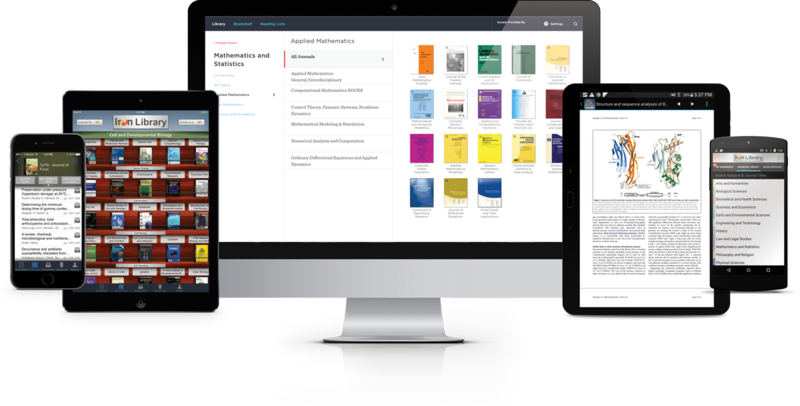 Download the free app to build up your own journal book shelf directly through your computer or mobile device and read, save, share and cite articles. The app will also notify you when new issues of selected journals are released. You can install BrowZine on multiple devices where all your selections and settings automatically will be synced. Ask at the library or visit www.browzine.com to get started and for more information. Information access: Create your own BrowZine account in the app or on www.browzine.com. Connect the app to NML’s journal subscriptions by choosing "UAEU National Medical Library" in the "Library" menu when you open the app for the first time. Use your UAEU credentials to verify the connection.